Iran's Deputy Foreign Minister condemns sanctions against his country after Trump signs them into law. Iran's Deputy Foreign Minister Abbas Araqchi on Wednesday condemned the new sanctions imposed by U.S. President Donald Trump on his country, Reuters reported. Araqchi claimed the sanctions break the terms of Iran's nuclear deal with the United States and other world powers, and vowed an "appropriate and proportional" response. Trump had earlier signed the new sanctions into law. The bill he signed also includes measures against Russia and North Korea. 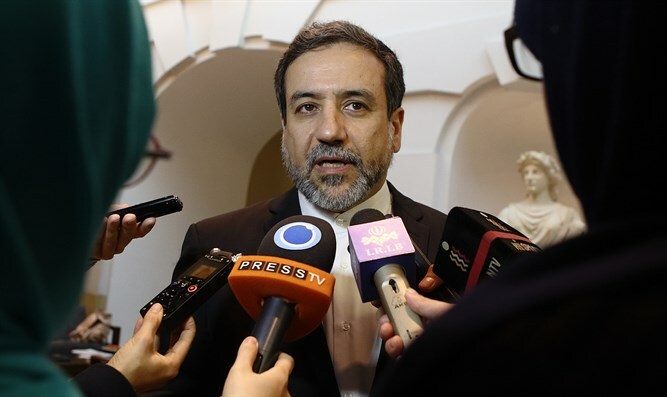 "In our view the nuclear deal has been violated and we will show an appropriate and proportional reaction to this issue," Araqchi was quoted by Reuters as said in an interview with state TV. He added that Tehran's response to the sanctions would be "intelligent". "The main goal of America in approving these sanctions against Iran is to destroy the nuclear deal and we will show a very intelligent reaction to this action," Araqchi vowed. "We are definitely not going to act in a way that get us entangled in the politics of the American government and Trump," he stressed. The comments mark the second time in recent days that Araqchi has vowed action against the new American sanctions. He previously did so on Saturday. Iran has already said it would complain to the body that oversees the 2015 deal - under which it accepted curbs on its nuclear program in return for sanctions relief - about the measures passed in Congress last week in response to a missile development program and human rights abuses. Iran’s Revolutionary Guards have blasted the sanctions as well, threatening to target U.S. military bases in the Middle East should the bill pass.